Menu Options allow the setting of parameters used globally on all menus such as, Title, CSS Class and Permissions. 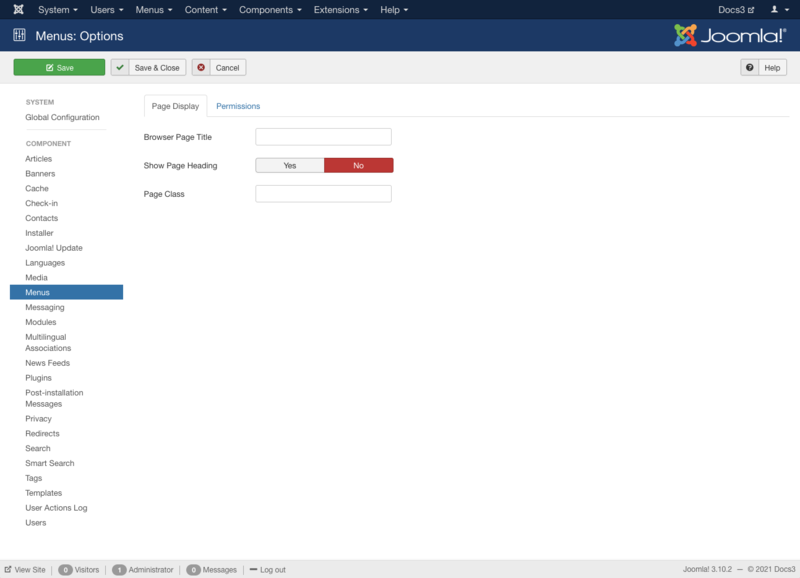 Click Options button at top in Toolbar Menu Manager: Menus or click Menus → Manage menu in the back-end of your Joomla! installation and click Options button. This layout has the following Page Display Options. Browser Page Title: Optional text for the "Browser page title" element. If blank, the Menu Item Title is used. Show Page Heading: Whether or not to show the Browser Page Title in the heading of the page. The page heading is normally displayed inside an h1 HTML element. Page Heading: Optional alternative text for the Page Heading. Page Class: Optional CSS class to add to elements in this page. This allows CSS styling specific to this page. 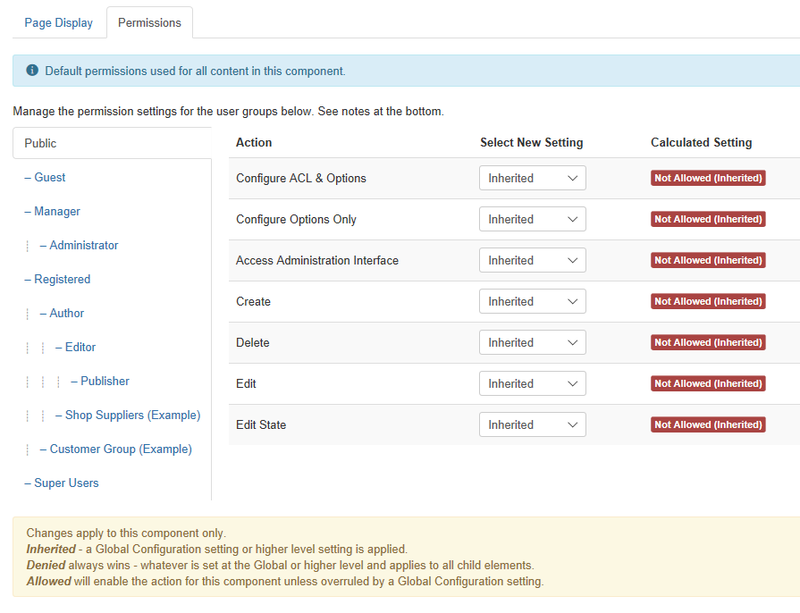 This section shows permissions configuration for Menus. The screen shows as follows. Save. Saves the configurations and stays in the current screen. Save & Close. Saves the configurations and closes the current screen. Remember, these choices are applied globally. This page was last modified on 19 November 2018, at 15:42.